The residents of Delray Beach can count on Lindstrom Air Conditioning & Lindstrom Plumbing when it comes to air conditioning repair, plumbing, duct cleaning and all of their HVAC service needs. Serving homes and business in the Delray Beach area since 1975, Lindstrom Air Conditioning has become one of the most trusted home service companies in Florida. We offer a wide range of products to help meet the needs of our Delray Beach customers. Our plumbing and HVAC products include air conditioners, heat pumps, air purifiers, water heaters and more. We have over 150 team members that are ready to help with all of your HVAC and plumbing needs. Our certified and trained AC technicians have several years of experience when it comes to Delray Beach area air conditioning repair, service and installation. We offer 24 hour emergency AC service if you ever have an unexpected air conditioning unit problem and our vehicles are fully stocked and ready to handle all of your air conditioning repair needs. 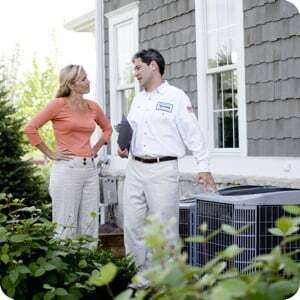 We also offer a large selection of air conditioners, heat pumps and more. And our HVAC techs can help you determine the best cooling system for your budget and needs. We can repair, maintain or improve your home's plumbing system and our plumbing service includes a 100% money back guarantee! We have been serving Delray Beach and South Florida since 1975. Over the years we have built our business around the philosophy of providing the best air conditioning, heating, and plumbing service around, backed by the highest quality customer care programs in the industry. When you need a plumber or an air conditioning contractor, give Lindstrom a call or schedule service online!